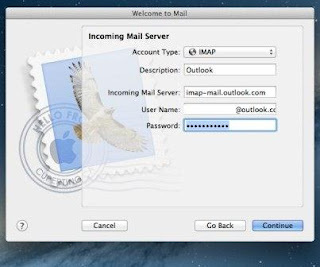 Hotmail IMAP servers basically refer to the incoming server address; more important is IMAP protocol that enables you to download your mails from the Hotmail servers to your local device or PC. You need to enable IMAP in the Hotmail settings for you to download emails from the Hotmail server to your android device, iPhone or Mac computer. SMTP server on the other hand are the outgoing servers which enable you to send emails from your Hotmail account through the client software. Some of the apps supported by Hotmail include Android mail, iPhone’s Mail app, Microsoft outlook, Thunderbird and outlook express. You know the password, type it in and complete the setup. We recommend use of IMAP over POP3 on your device. This is because the IMAP protocol has the ability to synchronize your Hotmail account across several devices that are logged in. Likewise any activities that are contacted on your client software are synchronized to the Hotmail server.